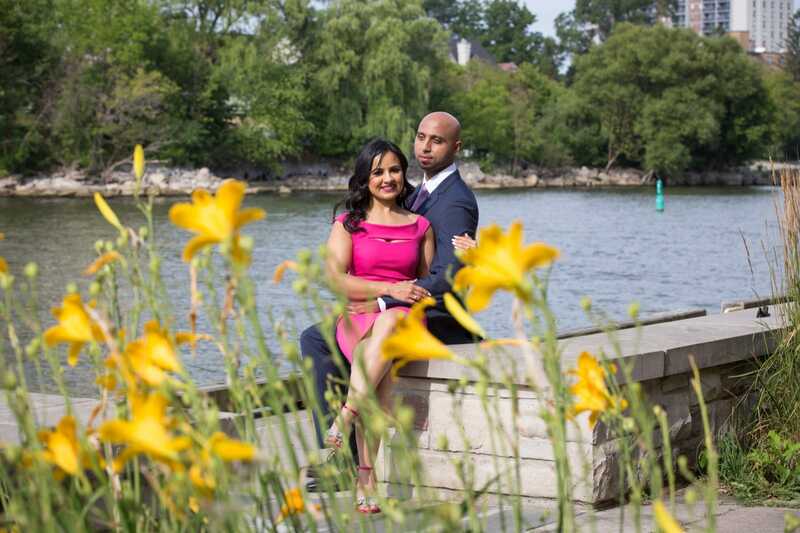 Please take a look at this summer engagement session at Port Credit. 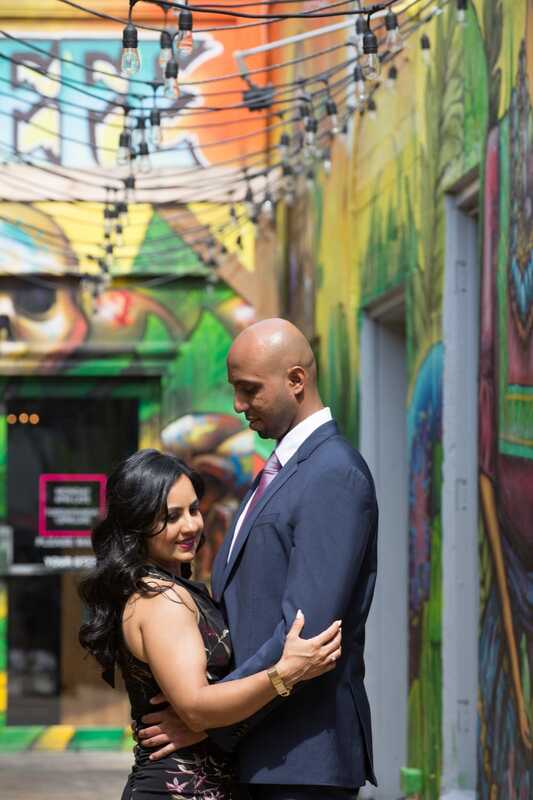 It was so much fun working with Sina and Chintan. 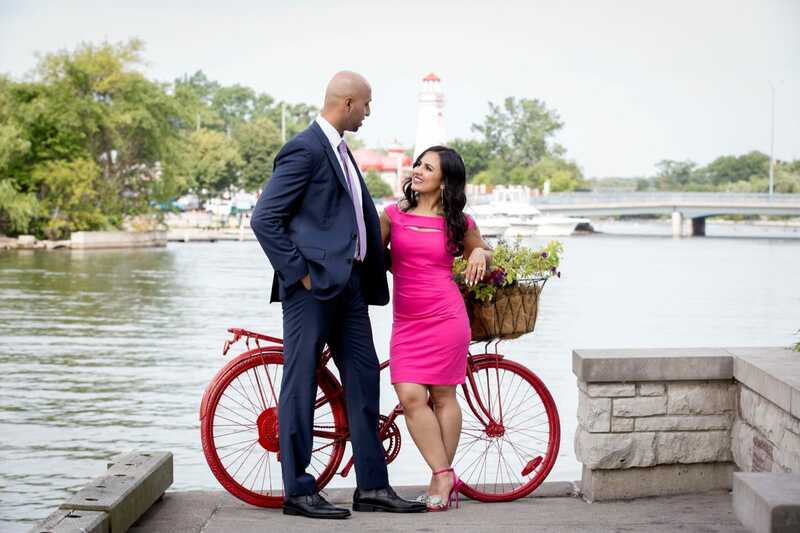 We met in the morning as Sina was going to Mexico on the same day so we had couple hours before her flight to go around Port Credit area, get to know each other better before their wedding day and take some awesome engagement pictures. 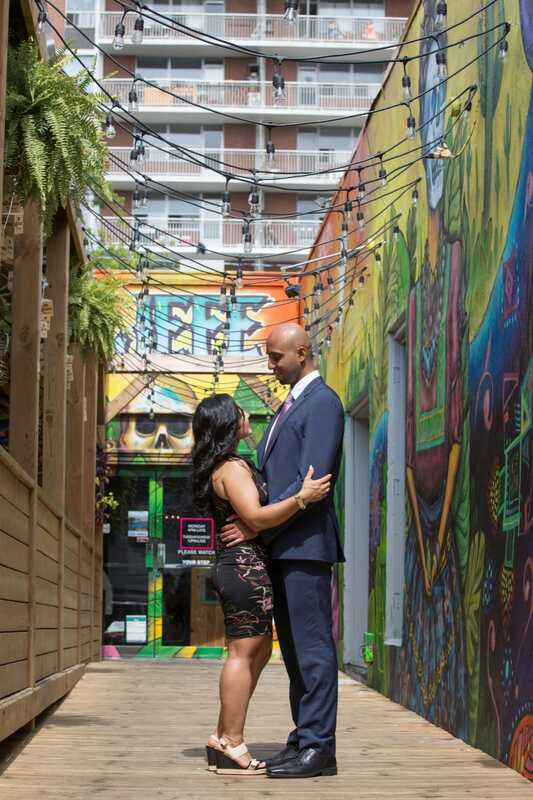 Engagement photography sessions are a great way to get to know your engagement and/or wedding photographer. 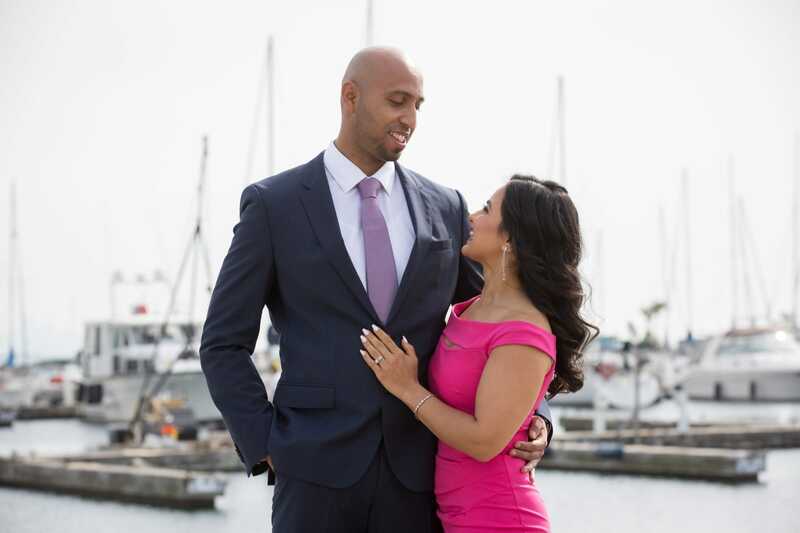 It is important that you feel comfortable with the photographer with whom you will be working and with my couples, I always try to have fun and understand their needs and deliver what they expect. 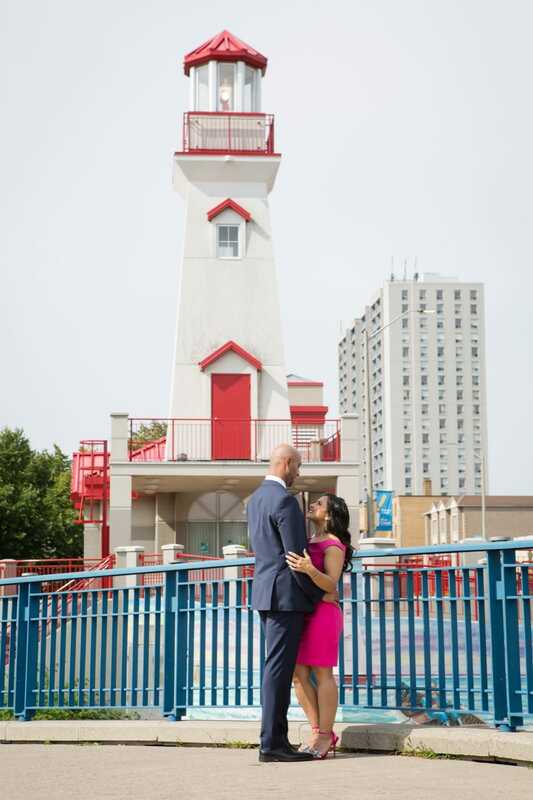 Sina was dreaming about city session and I think we achieved that look in her pictures in Port credit perfectly. Her outfits were beautiful and very chic. 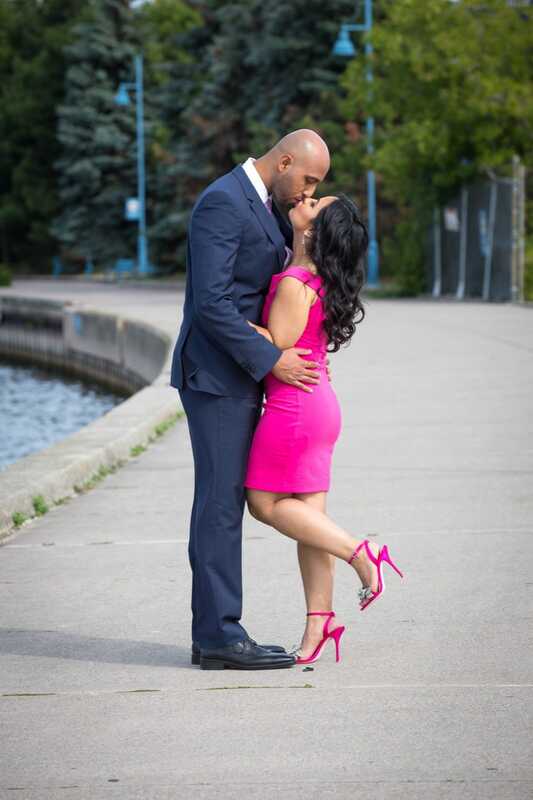 If you are looking for an engagement photographer from Toronto look no further. 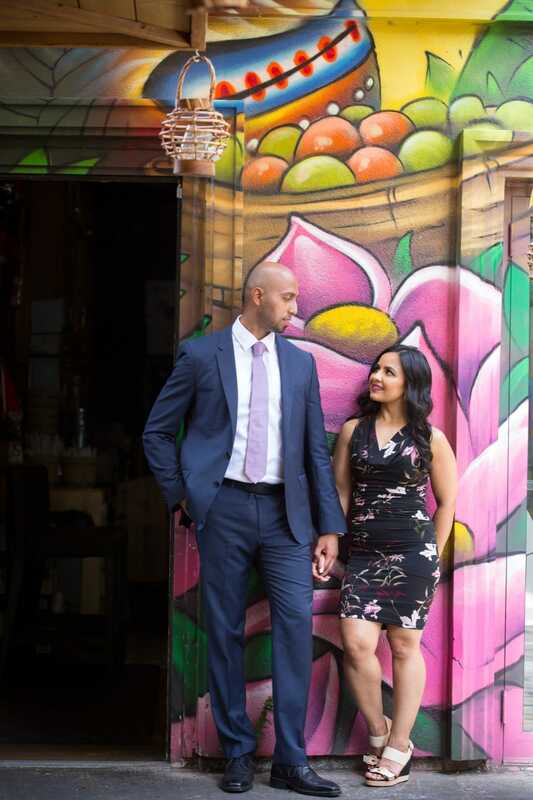 I will be happy to capture this special engagement session for you and create memorable pictures. Contact me for more information on availability. I’d love to show you my work and meet you at my home studio in Hamilton. We can also sit down and talk about details at a coffee shop in Toronto or someplace convenient. My name is Alexandra and I love to photograph people in love. 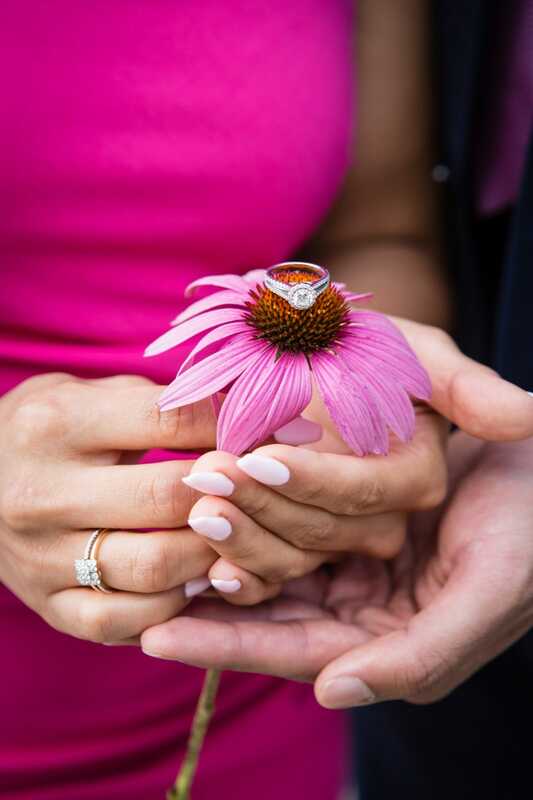 I have been a wedding photographer for the last 10+ years. It is my passion and a dream job. I have studied photography in London, England. I am a wife and a mom of two beautiful girls. I was born in Poland but fell in love with Canada and found my special place in Flamborough (north of Hamilton). I love to travel, dates with my husband, glass of wine and good music. I am a full-time wedding photographer which means I can dedicate myself to my clients seven days a week. 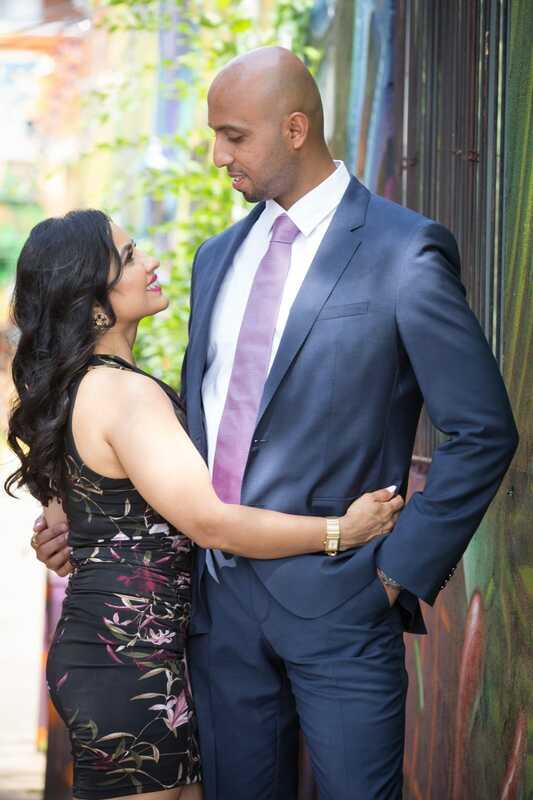 I have a great understanding of your "big day" and can guarantee a flexible, discreet and creative approach.